The newest member of our staff, Dan McKenzie, graduated with a Bachelor of Science in Professional Tennis Management from Ferris State University. 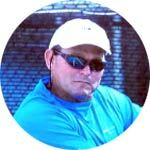 Former CEO of Extreme Tennis Academy, and Director of Tennis at Travis Pointe Country Club, Dan has 25+ years of experience coaching adults and juniors of all ages and levels. As a High School Varsity Coach for Flint Powers Catholic Boys and Grand Blanc Girls, Dan was twice honored as Division II Regional High School Coach of the Year. In addition to his high school coaching career, Dan headed up the International Flint CANUSA Adult and Junior tennis teams. A Certified PTR-2A and USPTA-P1 Tennis Professional, Dan has the education and experience to help his students attain their tennis goals.